French Colonial Navy/ Marines WWII Adrian M 1926 helmet Untouched green/brown helmet with age spurs. Round Colonial Navy / Marines badge with fouled anchor on helmet front . Excellent liner and leather chin strap. 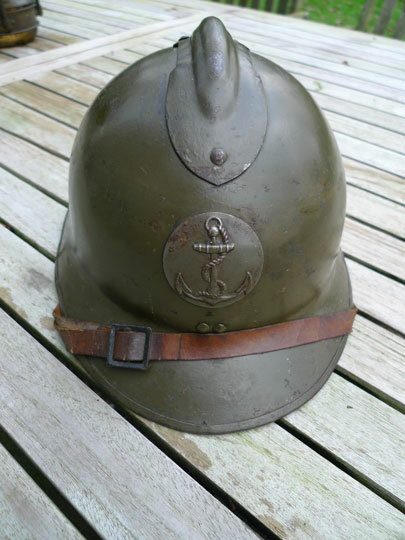 A very nice and complete French WWII Adrian helmet used by the French Navy / Marines and in the colonies. A very rare helmet in a great condition!